Please note that Beaverton is no longer a participating school district. You have dropped out of high school OR will not graduate with your class OR you are struggling in your current school setting. You have fewer than 17 high school credits (with some exceptions). You have struggled with grades AND/OR attendance AND/OR the social/emotional environment and are at risk for dropping out. Have Questions? Please contact Adam Clark for more information. Gateway to College is a unique program that lets you get your high school diploma while you earn college credit. Gateway to College contracts with your school district to offer you a scholarship to the program. The scholarship covers the cost of tuition and books. Our program also pairs you with a College Success Coach dedicated to your success. Your College Success Coach is there to teach you about college, organization and time management; and connect you with community, career, and college resources. If you’re interested in going to college or preparing for a better career but have struggled with school in the past or have dropped out of high school, Gateway to College can help you get on the right track to achieve your goals. Many of our graduates go on to finish AA degrees here at PCC and transfer to four-year colleges—and so can you. To succeed in the program, you’ll need to be in class about 20 hours a week and do three to four hours of homework per day. You are expected to attend every class. Because the program requires a strong commitment, it’s best if you work fewer than 25 hours a week. 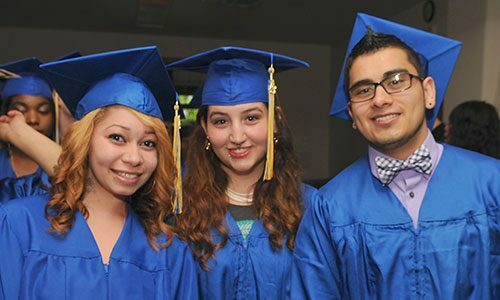 The program takes time – most of our students achieve their high school diploma in about two years, but they often earn a significant number of college credits too! This program has opened so many doors for me. I’m finally excited for what the future holds. Gateway to College not only gave me the chance to further my education, but it helped my self-esteem and self-image.